How to Save Money on Home Decor - Women and Money Inc. 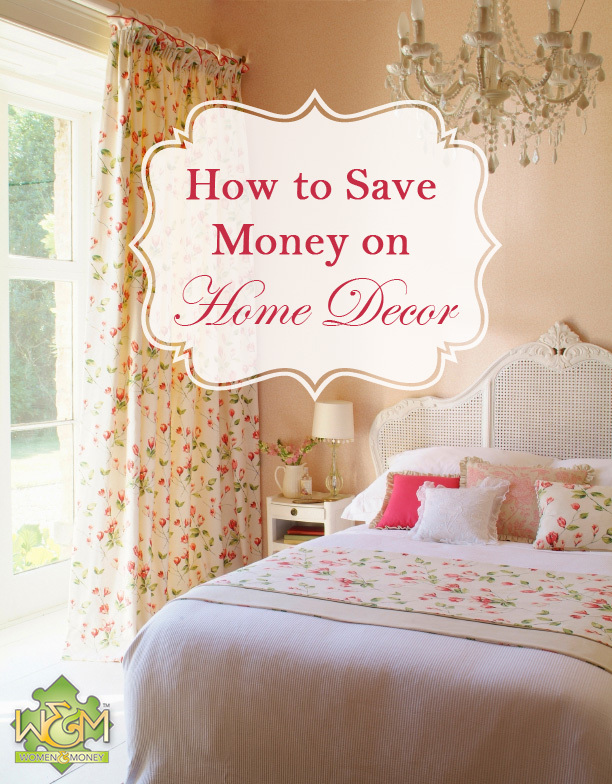 When you’re on a tight budget, home decor is one of the first things to cut out of your spending. 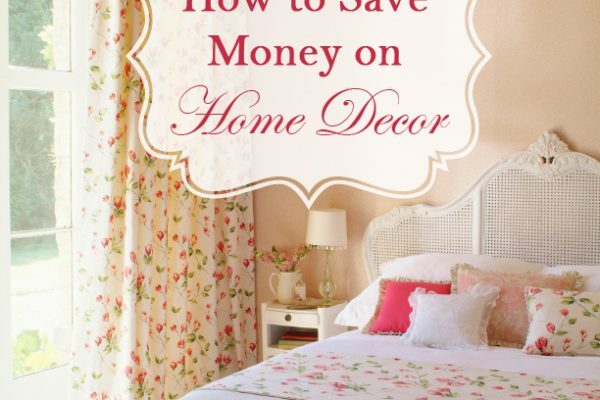 But if you have a small budget for it, read our thrifty tips to see how you can save money on home decor. Whether you’ve just moved, haven’t redecorated in years, or want to freshen up your space for a new season, there are ways to get the look you want while saving a bundle. You can refresh your space by simply moving items to different rooms in your home, and even using them for a different purpose. Maybe that bedside lamp would look great in your living room. Or your old baby change table could be used for a coffee bar. Look around your home and use your imagination, try moving things around, before going out and buying something new. Try your hand at painting your own watercolor art, sewing your own curtains from fabric or bed sheets, making pottery at a pottery class… get creative and personalize your space with DIY decorations. Thrift stores usually sell durable quality pieces that stand the test of time, and for a fraction of the price at a new retail store. You can find solid wood furniture, vintage and antique items, art, picture frames, vases and other decor for very reasonable prices. Some thrift stores have store-wide sales to clear out space for new items, so pop in and see what you can find on sale days. Auctions can be another great source for affordable home decor, just be sure to set your own spending limit for each item you bid on and don’t go over that. Private sales of home decor are some of the best bargains. Yard sales, moving sales, estate sales and even individual items listed on Craigslist, Kijiji or Buy and Sell are great places to find cheap home decor. Try haggling for an even lower price. If you are willing to do a little work (such as painting) then you can save loads of money by updating old home decor with a new finish or new purpose. Whether you already own the item, or picked it up at the thrift store or yard sale, think about how you can transform it with new paint, new fabric, or simply a new, unexpected purpose. Fall is the prime season for home decorating and home renovation — people are coming back inside when the weather cools down and wanting to spruce up their space for entertaining during the holidays. Try shopping for home decor in the summer, when items are being cleared out to make way for the new fall inventory. January is another time to get great deals on home decor — after the holiday entertaining is over and less people are buying anything, the sales are on! There’s no need to spend a small fortune buying new art, lamps, and decorative accessories. Items that are simply eye candy can be lower cost, second hand or homemade because you change them more often than larger pieces and don’t actually use them. Instead, spend your money on a new, quality sofa or bed since you use it and touch it every day. If you are on the lookout for something specific, in a specific price range, ask your friends and family to keep an eye out for you when they are shopping. They may happen to be at the right place at the right time to help you find that coveted piece on a budget. You come across something in a store that you absolutely love, but it’s expensive. Don’t buy it. Take a picture if you have a camera phone or camera on hand. Then see if you can find a similar item for less, from a different store or a private sale or even online (beware shipping charges though). One great tool is to use your picture to search on Google Images for similar pictures, you may come across many other similar items for sale and then you can compare prices. Here’s an example story about saving on home decor for you: The other week I popped into an antique store that was having a closing out sale, 40% off everything in store. The centerpiece of the store was a bed with a gorgeous wood fireplace mantle turned into a headboard. It was painted white, with a distressed finish, and the space in the center was filled with a fabric covered padded board. I loved it. The original price was $1400, on sale for $840, plus tax. That’s a decent sale but the price is still not something I could just spend on a whim. So I went home and searched online. I found a very similar white wood mantle, without the distressed finish and fabric center, for $50 on Craigslist and only a 1 minute drive from my house! Of course I snatched it up, and after doing the re-painting and fabric panel insert myself, it will have only cost me under $150. Comparison shopping, buying second hand, DIY refinishing and re-purposing all helped me to save $700 on one piece.